How to get there: This is the 4th. summit along the Meneseggi ridge traverse. The previous peak was Melsnipa. 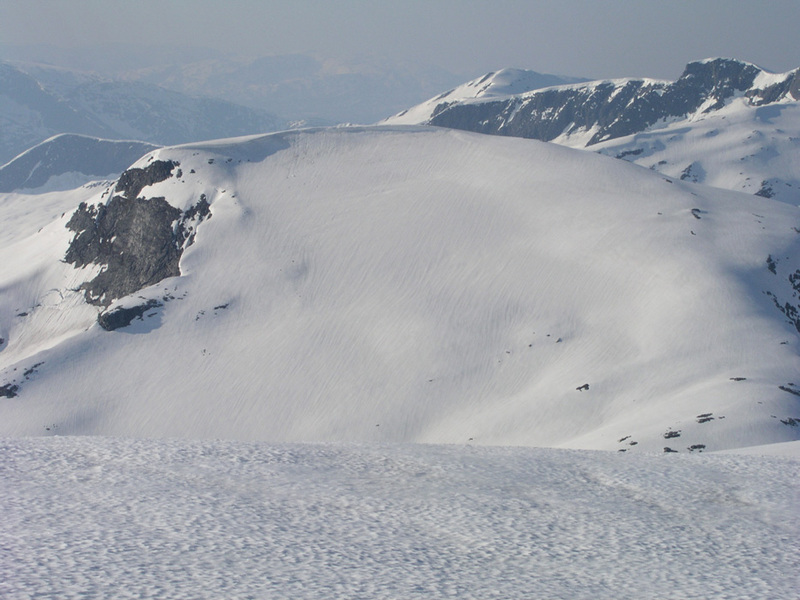 The Meneseggi traverse continues to Grøndalsnipa. Point 1446, as seen from Melsnipa. This is the mountain immediately across.